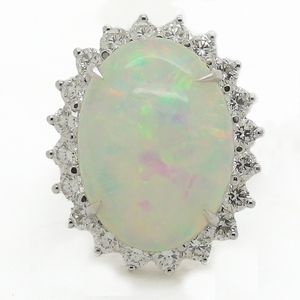 Large Cabochon Opal Ring With Diamonds Reliable Gold Ltd. 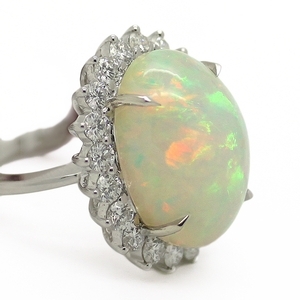 Oversized and beautifully-colored oval opal, approximately 16.55 carats, surrounded by brilliant round diamonds, approximately 2.20 carats total weight, in 18K white gold. 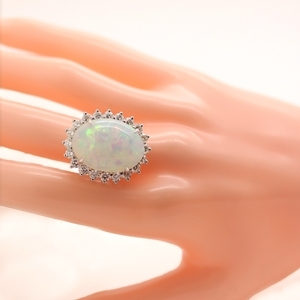 A truly stunning ring of heirloom quality!